All students are receiving the opportunity to take to the court and live the intensity of varsity athletics in front of supportive fans. From that moment he couldn’t wait for his freshman year – and his own chance to take the court. Unified basketball, which gives athletes with intellectual disabilities a chance to play, made a splash in its first season, took off in its second and now, in its fifth year as a high school sport in Maine, has seen that growth continue. “It has grown tremendously,” Hampden/Bangor Coach Andrea Lee said. There are 55 teams representing 62 schools in a two-region sport that started with 17 teams in one region five years ago. Four teams – Belfast, Lawrence, Medomak Valley and Mountain Valley – are new this season. And Unified’s growth goes beyond basketball; Unified track and field will be offered in the spring for the second year, and Unified volleyball made its debut this season. 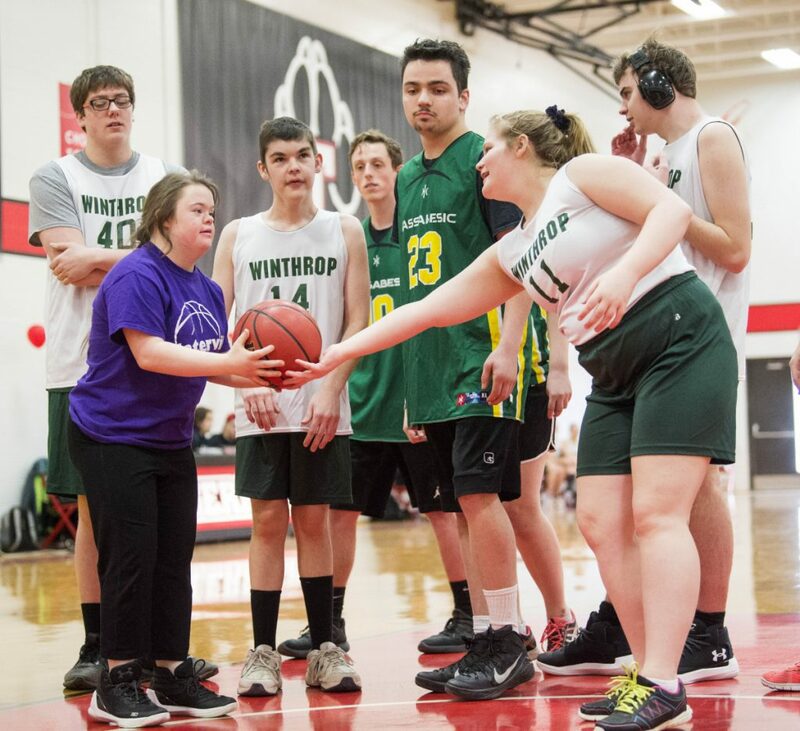 Events like the Unified Basketball Winter Jamboree on Saturday help the sport get the exposure needed to sustain its growth. Seven teams made it to Thomas College in Waterville for the tournament, which featured 13 games between 9 a.m. and 4 p.m., and allowed the athletes to play in front of encouraging, supportive crowds. More and more, people are getting that message. Lee, whose team made the final last season before losing to Westbrook, said she almost needed to form two teams due to an abundance of athletes and partners – students without disabilities who help the athletes during games – and Massabesic Coach Katherine Fournier said she had to turn kids away because the roster swelled too much. There weren’t any rules changes this season, but that doesn’t mean coaches see the same product on the court they saw in 2015. Fournier said the quality of play improved as athletes and partners became more comfortable on the court together. John Vartanian, who coaches a Carrabec team that used to form a co-op with Madison, then had enough athletes to play on its own this year, echoed that. Vartanian attributes that to players like Massabesic’s Meko, who saw the sport and decided to pursue it when they get to high school.